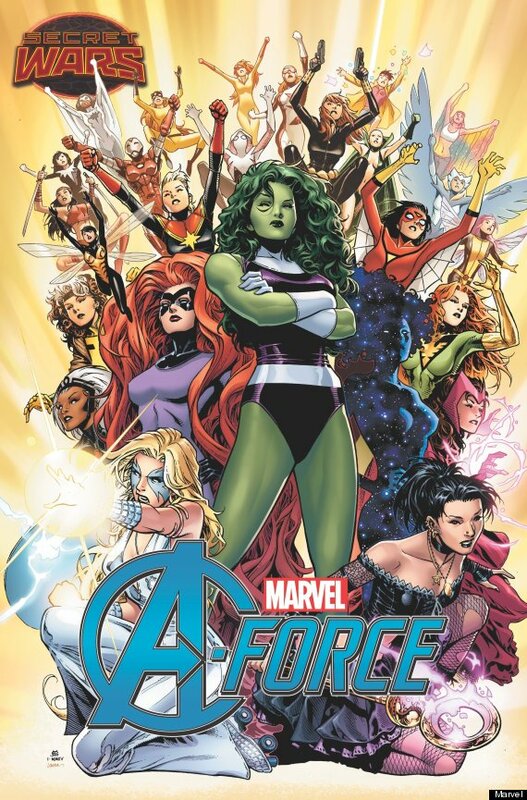 Home » comic news » Marvel announces first all-female Avengers title, “A-FORCE”! Marvel announces first all-female Avengers title, “A-FORCE”! Click for the full cover. Marvel Comics have just announced a brand new all-female Avengers series, coming this May. A-Force, from writers G. Willow Wilson and Marguerite K. Bennett, and featuring artwork from Jorge Molina, will bring the likes of She-Hulk, Dazzler, Medusa and Nico Minoru together to fight evil. This series will mark the fifteenth female-led comic series currently published by Marvel. So what do we think of the news? Are you on board for A-Force when it hits later in the year?